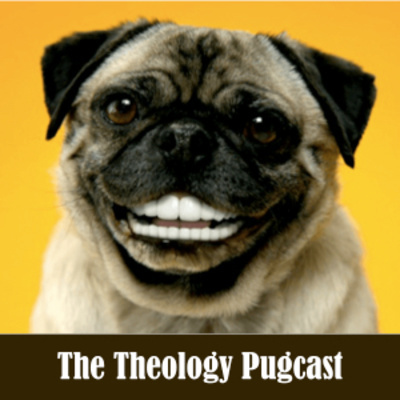 The Pugcast is produced by The Logos Center and features Pr. C. R. Wiley, Dr. Glenn Sunshine, and Dr. Thomas Price. The Pugcast is recorded at The Corner Pug--a well-known watering hole in tony West Hartford, Connecticut. (Hence the name, "pugcast"--also the reason there is so much background noise.) The show could be described as "3 over-educated Reformed guys riffing on philosophy, theology, and stuff that bugs them." Each episode they invite you to take a seat in their booth and listen in on their conversation. Tom continues his reflections on his Oxford mentor's essay on sins of speech. Glen and Chris speak up when they have something to say, all the while hoping that they are telling the truth. 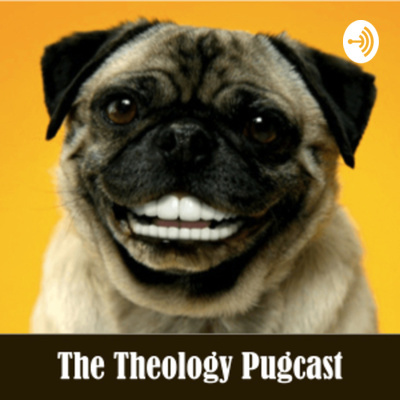 In today's show C. R Wiley raises the question, "Can Christians be Pragmatists?" Quotations from William James and Richard Rorty, two of the 20th centuries greatest pragmatists, show how pragmatism is hostile to the classical Christian understanding of the relationship between words and the world. Words are tools for pragmatists, not windows--they create meaning and can be used to manipulate people. (No wonder people are offended by pronouns! Welcome to Babel.) The problem is most of the popular figures in the evangelical world today are pragmatists. Nature and Names--Does Anything Mean Anything? Today Tom Price shares an article by the English theologian Oliver O'Donovan entitled, The Natural Ethic. The discussion gets into late medieval developments in philosophy--specifically voluntarism and nominalism. Glenn raises some historical qualifications, but all are agreed that we live in a time when things are falling apart because we've lost the ability to see meaning in nature. In today's show, Glenn analyzes the phenomenon of transgenderism and its meteoric rise to cause celebre'. Using "cultural marxism" to understand the phenomenon Glenn discusses both its appeal and its use of intimidation to force normalization. Tom looks at the phenomenon through the lens of the relationship of the transcendent God with his creation--particularly as that doctrine has been misconstrued by modernity, and Chris shares some anecdotes and his own nascent perspective that transgenderism is one more way that the world is at war with the Logos of God. Chris gives an overview of the newsletter The Masculinist, and its creator Aaron Renn. Then he introduces the controversial claim made in the latest edition that "Complementarianism" (the belief that men and women have different roles in the household and the church but not in wider society) is doomed. Glen and Tom ask for a better account of complementarianism, but all three agree that version of "thin biblicism" is going to die. They do not think egalitarianism offers anything as an alternative. So what's next? They agree, the Church needs to recover its old metaphysic, and then the Christian doctrine of creation will come back. In today's show, Dr. Thomas Price shares an article written by his old mentor at Oxford, Dr. John Webster. The article is entitled: "Love is Also a Lover of Life: creatio ex nihilo and Creaturely Goodness." After Tom explains the importance of transcendence and the doctrine of creation from nothing, then Chris, Glenn, and Tom venture to "comb out" the implications for worldview, ethics, salvation, and the place of the church in the world. Dr. Glenn Sunshine speaks with Dr. Thomas Price and C. R. Wiley about his recent article at BreakPoint entitled: An Emerging Worldview." Although none of the Theology Pugcast team like the term "Cultural Marxism," it is useful for understanding at least one aspect of this phenomenon.